A grain specially recommended for fishing due to its big size and to its fantastic properties very appreciated by the carps. Its size comes from 21 mm up to 26 mm. Put the beans to soak in a shut receptacle during all the night using cool water. 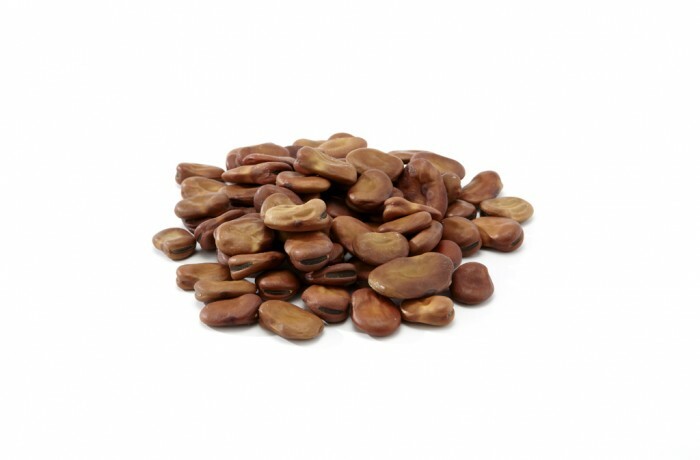 The size of the beans will increase due to the re-moisturizing, so we have to pour in as much water as needed to reach a level 6 or 7 centimetres over the beans level, to get the complete re-moisturizing. Then, the product will be still hard, so next we have to introduce it into a pressure cooker with some water to boil it. Once the beans are settled and cooled down to room temperature, we introduce them into a hermetic receptacle where we will leave them during all the night, in order to help the germinating process while the particle fermentation begins. It is required approximately 48 hours to get the optimal fermentation.